Magdalene Odundo OBE is one of the world’s most esteemed artists working in ceramics. 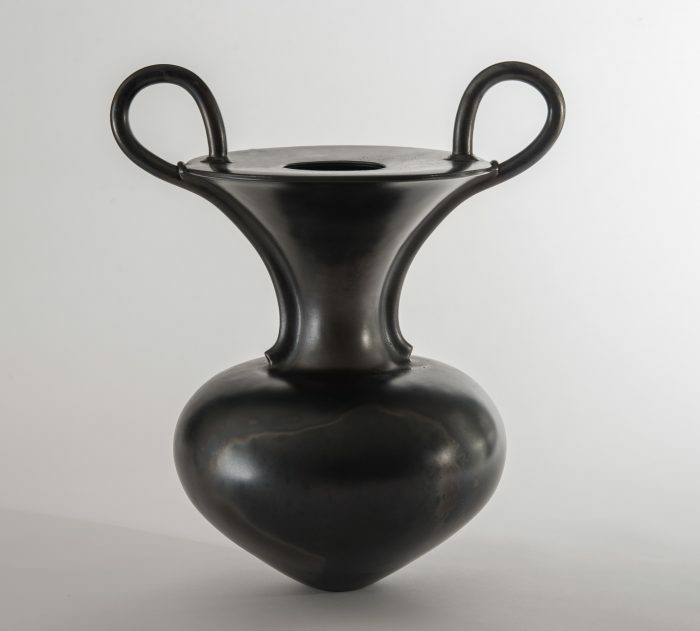 This major exhibition brings together more than 50 of Odundo’s works, including a vessel made in 1978 from Wakefield’s art collection, which was the first of her works to be purchased by a public institution. These will be shown alongside a large selection of objects chosen by Odundo from across the globe and spanning 3,000 years, to reveal the rich and diverse range of making traditions that have informed the development of her own work. 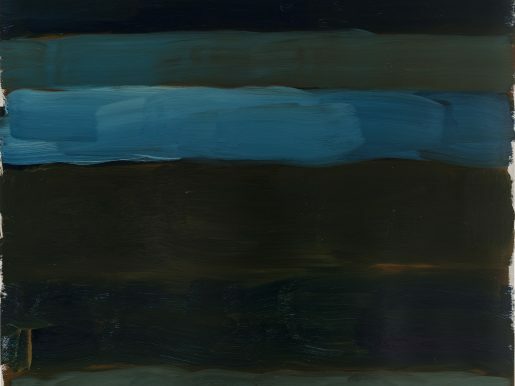 Born in Kenya in 1950, Odundo moved to the UK in 1971 to attend art school. After choosing ceramics as her preferred medium, Odundo travelled to Kenya, Uganda and Nigeria to study their ceramic traditions. Odundo’s desire to learn about vernacular crafts has taken her across the globe to Europe, Africa, Asia and Central America. 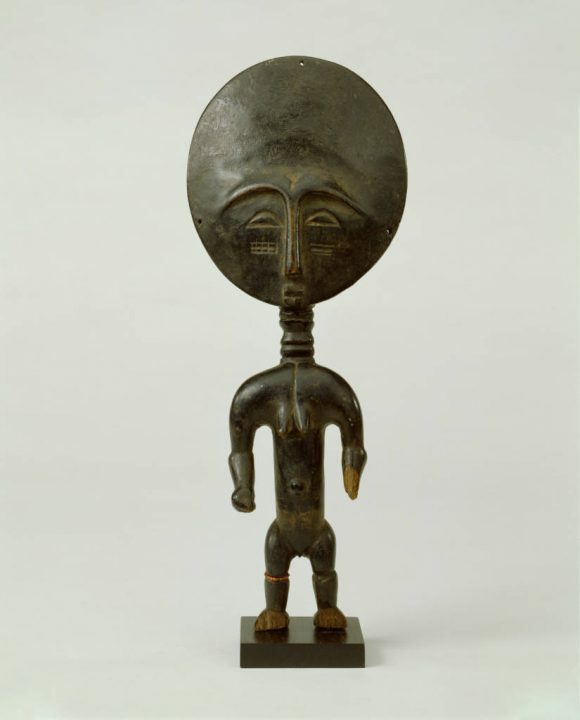 This journeying has inspired Odundo’s own unique visual language – her hand-built forms are often asymmetrical, large in size and with dynamic silhouettes that often conjure the human body. The vessels are burnished rather than glazed and fired in ways that create her distinctive surfaces of vibrant orange, velvety black, or a dramatic interplay of the two. Designed by internationally acclaimed architect Farshid Moussavi OBE, the exhibition will situate Odundo’s work at the heart of a constellation of objects that Odundo has drawn inspiration from: British studio pottery by Hans Coper and Lucy Rie; ancient vessels from Greece and Egypt; historic ceramics from Africa, Asia and Central America; ritual sculpture and objects from across the African continent; Elizabethan costume and textiles; as well as contemporary objects including a large work by artist El Anatsui. The exhibition will explore Odundo’s interest in her own diasporic identity and the charged role that objects have played, and continue to play, in intercultural relationships today. 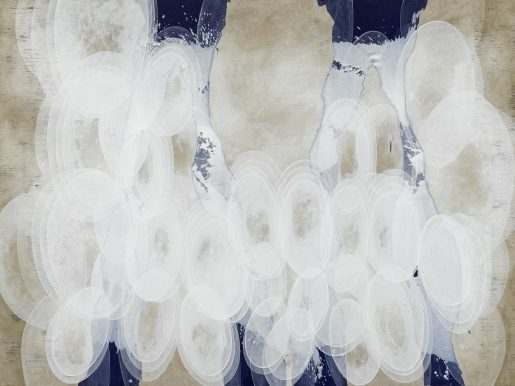 The exhibition is organised in partnership with The Sainsbury Centre where it will be presented from 3 August to 15 December 2019. 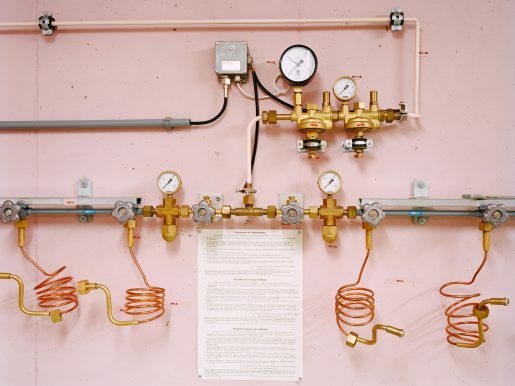 Tue – Sun: 10:00 – 17:00 Closed Mondays except School and Bank Holidays. 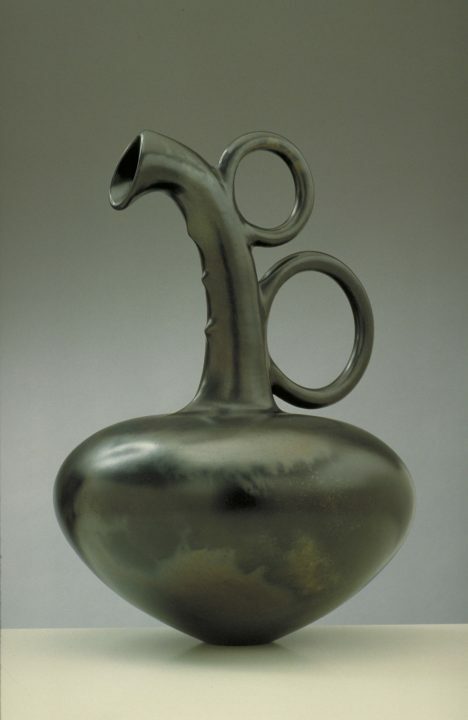 Magdalene Odundo, Asymmetrical Reduced Black Piece, P423 (1992). Courtesy of the artist and the Crafts Council. 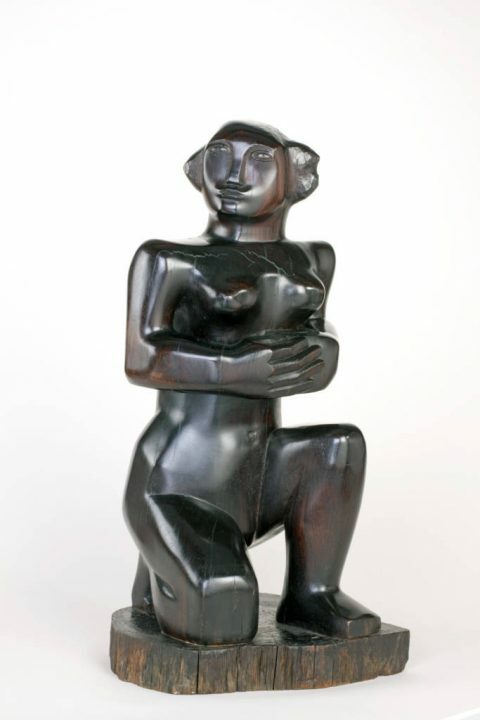 Barbara Hepworth, Kneeling Figure, 1932 Rosewood. Ritual doll, Late 19th – Early 20th Century. Maker unknown, Asante. Ghana, Africa. UEA 631.